In line with the World Water Week 2017, the United Nations Children’s Fund (UNICEF) has warned that more than 180 million people do not have access to basic drinking water in countries affected by conflict, violence and instability around the world. 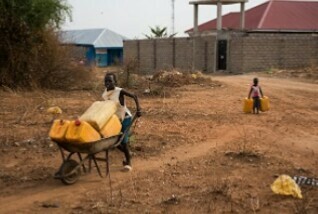 As disclosed in a press release, UNICEF has it that people living in fragile situations are four times more likely to lack basic drinking water than populations in non-fragile situations, according to a recent UNICEF and World Health Organisation analysis. Of the estimated 484 million people living in fragile situations in 2015, 183 million lacked basic drinking water services. “In far too many cases, water and sanitation systems have been attacked, damaged or left in disrepair to the point of collapse. When children have no safe water to drink, and when health systems are left in ruins, malnutrition and potentially fatal diseases like cholera will inevitably follow,” Wijesekera expressed.